Are you feeling better or worse now that your "GDPR cleanse" diet has run its course? Those GDPR re-opt-in emails you've been sending (whether you needed to or not) reduced the size of your database. But all other things being equal, your performance metrics, engagement, and deliverability should improve. A more engaged customer database is, of course, a good thing. But you may also have lost a sizable percent of engaged customers or prospects in your GDPR cleansing process. Ouch. With a now smaller, yet more engaged, database, you'll need to recalibrate your internal and external benchmarking. Say you had a database of 100,000, but it got pruned down to 90,000. If you had promised your boss that you would grow your database to 120,000 contacts this year, for example, you might need to negotiate that goal or make the case for some additional budget. In addition, your goals for revenue, conversions, or number of qualified leads may need to be reset. You may also need to review your metrics and how you benchmark them. A smaller and more engaged database means that your core email metrics, such as open, clickthrough, bounce, abuse, and unsubscribe rates, should improve. In fact, we noticed a not-so-surprising trend from the Canadian marketers' data in our just-released IBM Watson Marketing 2018 Marketing Benchmark Report (using 2017 data) that analyzed email and mobile metrics from more than 40 countries. Canadian marketers posted the highest average (mean) email open rates at 38.5% across all countries and regions, well above the overall average of 22.8%. Canada also had the second highest open rates among top quartile performers at 59.8% versus 46.7% across all regions. 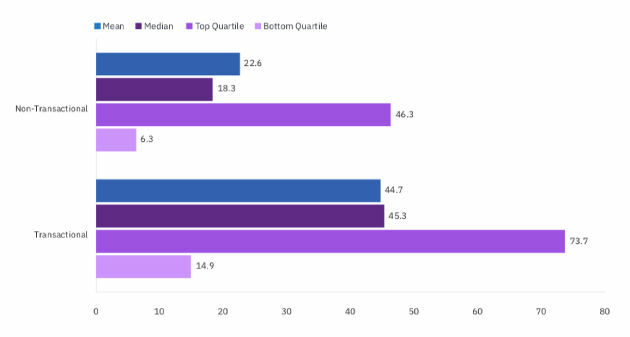 Canada also had the highest median clickthrough rates at 2.6% and second-highest mean CTRs at 4.8%. Although we can't be certain, the strong metrics from Canadian marketers is likely at least partially a result of companies preparing for the Canadian Anti-Spam Legislation (CASL) regulations that were announced in 2014 and went into effect on July 1, 2017. The CASL and GDPR regulations are different in intent, but both drove a similar response by many marketers (and their legal departments): to launch email subscriber re-opt-in programs to ensure that explicit consent was received and recorded. If you have cleaned up your database—whether through re-opt-in programs or simply removing or suppressing subscribers not obtained via an explicit opt in—your email and mobile metrics are suddenly going to start looking better. Below are six points to keep in mind. 1. Level-set your "new average" metrics. Monitor your email metrics for a few months and recalibrate your new averages. If your open rates are now consistently 22% but were 20% previously, then you should generally be able to apply a 10% correction to your current numbers. However, as your database has changed, these new average metrics are also your new standard benchmarks. 2. Explain the change to bosses, brand managers, and other stakeholders. During the transition period, explain the new math and implications of changing metrics to all internal stakeholders. 3. Assess the impact and implications to strategy and budget. Although you might assume that most of the subscribers you've lost during your GDPR cleanse are the least engaged, I know of one brand that expects just the opposite based on their subscriber acquisition approach. Consider building a model based on what you know about the subscribers who were removed or did not re-opt-in to understand potential hits on revenue, conversions, or lead progression. Adjust budgets and program strategy to ensure you achieve your key business goals. 4. Assess current messaging strategies. If the composition of your database has changed much post-cleanse, you may want to alter your cadence, content, and segmentation approaches. More engaged subscribers may value more frequent messages, but that may also mean stepping up the quality and role of your content. 5. Make more strategic use of transactional messages. One of the key findings in this and previous years' benchmark reports is the power of transactional messages. Messages confirming transactions, providing receipts, and offering order/shipping information are brands' most engaged messages. Open rates are typically double that of non-transactional messages, and click-through rates are three times higher than the 1.6% average (mean) generated by non-transactional messages. If your IT department owns the transactional messaging system, be aware that it might not be able to send HTML messages and track opens, and the messages likely have poor branding, subject lines, and no marketing and value-add content. Fight to take control of your company's transactional messaging, and then use those messages as opportunities to drive further engagement and action, such as purchasing a related product or service. 6. Leverage other channels. Did some of your customers not opt-in to emails but did provide consent to receive mobile push or SMS messages? Understand which customers have a multi-channel relationship with your brand because you may need to make a channel carry additional duties. As a marketer, the entire GDPR compliance process was about much more than getting to know your legal team on a first-name basis. It was about increasing trust with customers and improving the quality of your data. Now use this opportunity to set your benchmarks higher and take your email and other digital marketing programs up a notch (or two). You have the data. So how do you stack up? Get the 2018 Marketing Benchmark Report from IBM Watson Marketing to compare your email and mobile campaign metrics against your competitors.